When you transfer photos from your old Samsung device to a new iPhone, you may encounter certain problems if it is not done right. Meaning some of the pictures can be transferred correctly without any kind of problems, while others may be lost because the transfer process may fail before it is complete. For instance, the photos may become corrupted during the transfer, which means the image files cannot be accessed on the iPhone when the user try to view them. 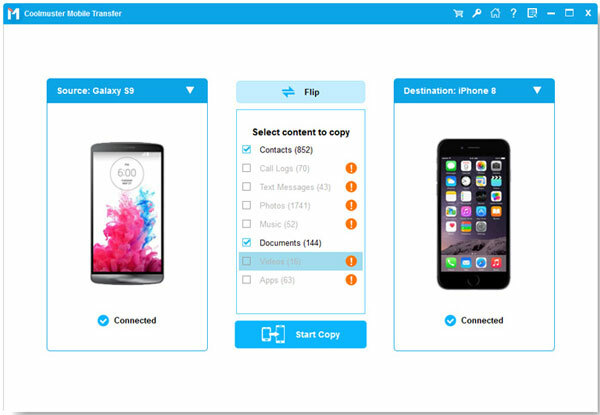 If you want a convenient and secure way to copy photos between Samsung and iPhone, Coolmuster Mobile Transfer would be a good choice for you. 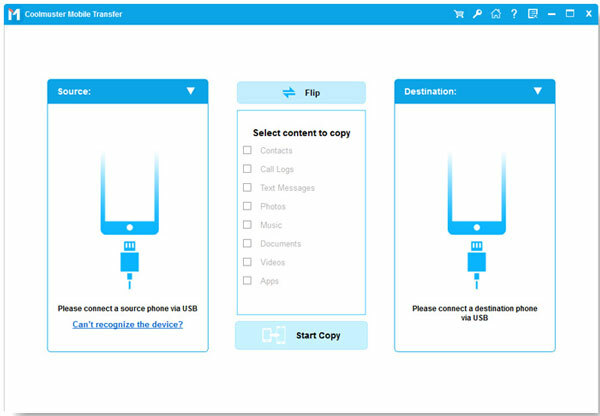 The program uses leading technology to transfer all kinds of files, such as contacts, text messages, photos, videos, music, apps and more between any Android, iOS and Symbian devices. That's to say, Mobile Transfer not only supports iPhone 7/7 Plus/6S/6/5/4S and Samsung Galaxy S7/S7 Edge/S6, but also other iOS, Android and Symbian devices. The following guide let's you go through the process of how to use the Mobile Transfer to transfer pictures between Samsung and iPhone. This professional tool will complete the task 100% successfully without any hassle. How to Transfer Photos between Samsung and iPhone? After downloading this Mobile Transfer tool, install it and click the icon on your desktop to launch it. Meanwhile, the primary window should pop up as the following picture. Now, choose the first "Phone to Phone Transfer" section. Use a couple USB cables to connect your Samsung phone and iPhone to the computer. The software will detect the two devices and analyze the data on both phones quickly. If you only need to transfer photos, uncheck other boxes except "Photos". Now, simple give a click on the left or right arrow and the rest will be done by Mobile Transfer.